Nestled in the leafy suburbs of Castlereagh, Dundonald Touring Caravan Park offers a calm and peaceful location for caravaners and campers to reside, whilst on a short break in Northern Ireland. For those looking to explore all that Belfast has to offer such as shopping, food markets, shops and attractions, the Park is an ideal place to stay, located on the outskirts of the City, only a five mile (eight km) drive from the city centre. The No.4 C & D and No.29 Metro Buses and Ulsterbus No.511 depart from the main road at regular intervals throughout the day to the city centre for those who would rather leave the car behind. 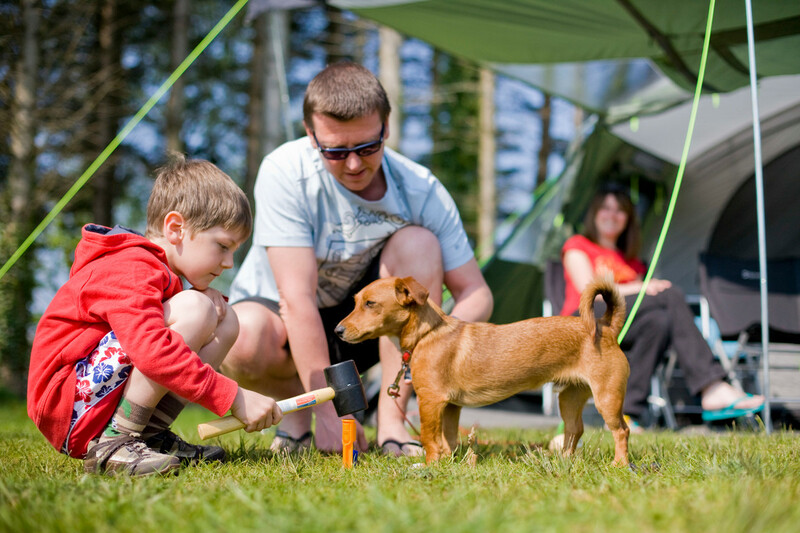 The Park is also an ideal location for caravaners and campers who are interested in exploring the scenic County Down countryside and coastline. Kitchen inc. sinks, fridge etc. The Caravan Park also includes free WIFI within the Amenities Block and is less than 200 yards from a shop/supermarket. Portable fire extinguishers are located in the Red Boxes at both the amenities block and waste disposal point. If guests require the use of the Emergency Services (Fire, Police, Ambulance), they can be contact on free of charge on 999, using the telephone provided in the amenities block. In the event of FIRE, evacuate to Dundonald International Ice Bowl.